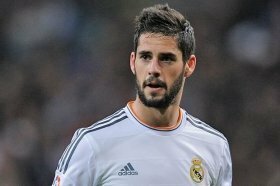 Arsenal planning Ozil-Isco swap deal? Arsenal are reportedly considering the prospect of offering Mesut Ozil in a swap agreement to sign Isco from Real Madrid at the turn of the year. Ozil started the season as a regular candidate for the league duties but of late, he has dropped down the pecking order with Unai Emery expressing a concern with his workrate. Amidst this, it had been suggested that the Gunners may sanction a temporary move for the German next month with his £300,000-a-week wages proving a stumbling block for several suitors but The Independent claims that they have found another solution. The European champions are currently considering the sale of Isco amid his fitness concerns and struggles to make the starting XI under Santiago Solari and it is suggested that the Gunners may offer Ozil in a probable swap move for the former Malaga man. Nonetheless, the north London giants may have to pay additional cash for the Spain international, given the midfielder is valued at around £100m - which is substantially more than what the Gunners are said to want for Ozil's potential sale.